Our moisture barrier bags are perfect for packaging and safely transporting electronic components that are sensitive to moisture and static. Antistat Inc supply a huge range of moisture barrier bags in multiple thicknesses and sizes to fit your needs. 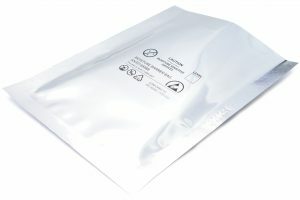 Moisture barrier bags are produced specifically to protect sensitive equipment and products from electrostatic discharge (ESD) and moisture damage during transit or storage. These bags can be vacuum packed and molds easily to the shape of the product, providing near perfect puncture resistance.